Since the start of the year, I’ve made a promise to eat less ‘Western‘ food, and try more of other cuisines. I think I have been doing quite well so far. 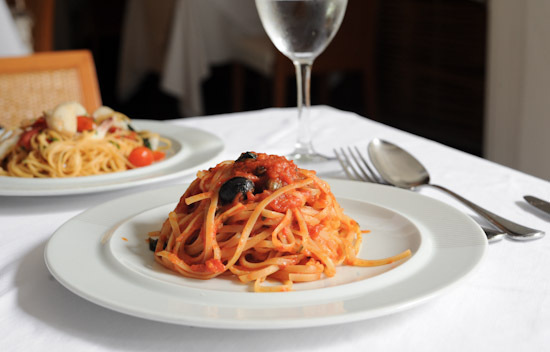 But there are some days when you just feel like having a hearty plate of Italian pasta. I was craving for Italian food when I met the folks from BigDeal for lunch, so I suggested going to Da Paolo La Terrazza at Chip Bee Gardens. The place here is different from Da Paolo Restaurant & Bistro Bar. 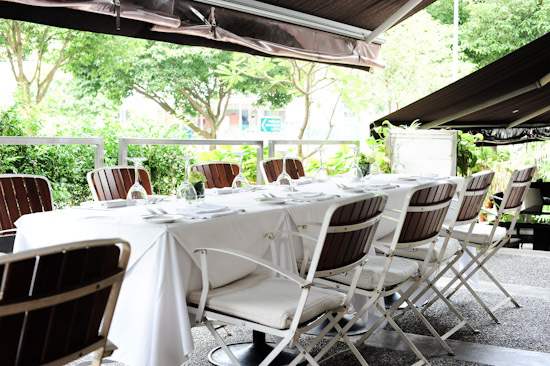 Whereas the restaurant at Rochester Park has a huge al fresco dining area surrounded by greeneries, Da Paolo La Terrazza is slightly smaller with options of eating indoors for a more formal dinner, or dining at the tranquil al fresco area where you sit along the tree-lined street. Italian food at Da Paolo restaurant. Can you imagine me rubbing my hands with glee? I don’t know anyone who doesn’t like Italian food, anyone who can say no to the best Linguine Al Granchio, anyone who can refuse to eat a slice of the best pizza, anyone who can resist having tiramisu for desserts. This is Italian food, for crying out loud; nobody, and I repeat, nobody can dislike Italian food. Okay, I shall stop declaring my love for Italian food before you start to think that I am a psycho who goes around trying to convince everyone that it is the best cuisine. For your information, I love French food too. But that’s another story. Anyway, back to Da Paolo La Terrazza. The set lunch is available at $24++ (for pasta) and $32++ (for meat/seafood). From what I understand, it changes periodically, but there will always be five appetisers, five main courses and two desserts to choose from. 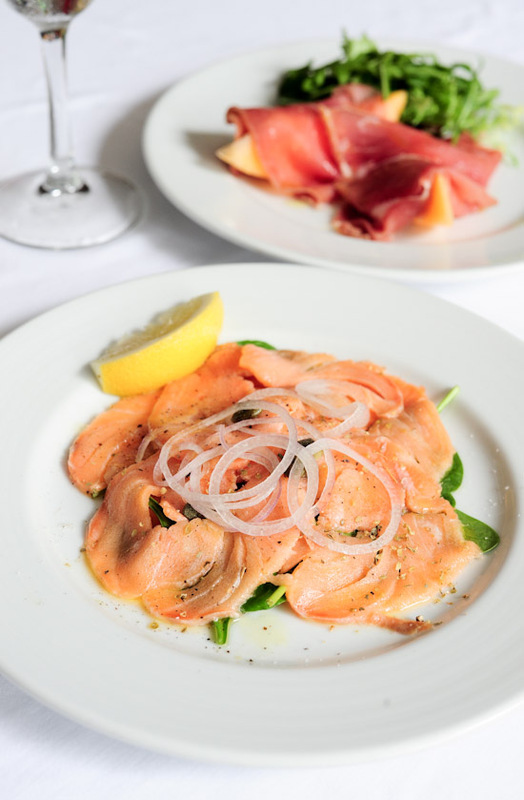 We started with a Smoked Salmon with mixed greens, Parma Ham with Rock Melon, and a Mixed Green with shaved Parmesan. 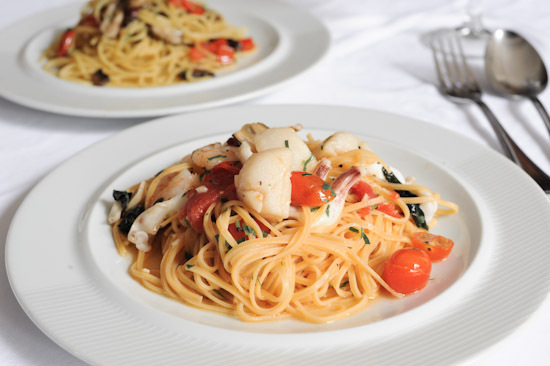 From the pasta main courses menu, we took the Spaghetti Aglio Olio tossed with garlic, chilli and olive oil; Linguine with prawns and cherry tomatoes; and a tomato-based seafood pasta. For desserts, there are only Dolce del giorno and Gelato/Sorbet. We took the dessert of the day which was a simple slice of cake. While there’s nothing to fault about the Italian food at Da Paolo La Terrazza, I don’t think that lunch is fantastic. I like choices. I like to be able to choose from a list of desserts, and in this sense, Da Paolo’s set lunch doesn’t quite appeal to me. Does this mean that Da Paolo is not worth a try? Not at all. Like I said, the Italian restaurant at Chip Bee Gardens has a nice vibe, and they serve one of the best Tiramisu in Singapore. I will certainly visit Da Paolo again for the ala carte menu, but I just don’t see myself returning just for the set lunch. Am I expecting too much from a $24++ 3 course set lunch? No, I don’t think so. There are plenty of good lunch deals elsewhere.